In stock - low quantity. Order in the next 11 hours, 57 minutes and it will go out today! Forget those small pitchers. 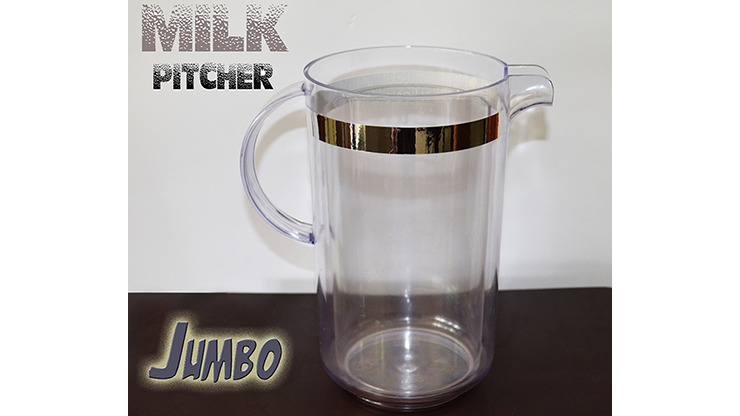 Take a look at this Jumbo Milk Pitcher for your next performance. Measuring 18 cm wide and 20 cm high, this pitcher will hold a lot of liquid and look great doing so. It even lacks glued in pieces, so you can remove sections for washing!